One of the most asked questions we receive is about the tools we use to manage our online presence. In response to so many request we have listed some of the tools that we use with links to them. Please note that some links on this page are affiliate links, meaning that Performance Tech Solutions may receive a small commission. This is at no extra cost to you. Hostek hosts websites. It has the ability to host on Windows, Linux, and ColdFusion. They support many languages includeing PHP needed for WordPress. It is much easier to manage your social media when you use a program to post to all of your accounts at once and even schedule the publication of content. Hoote Suite is what we use to manage our Social Media Presence. Google + is ideal for the technology audience and photographers. LinkedIn provides a space for professionals and Business to Business. 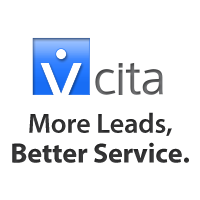 Vcita easily adds buttons to a website to help visitors to contact you, schedule a meeting, pay bills, and more. Search Engine Optimization is improved when pictures or videos are added to your blogs and pages. But you can not copy any picture you see on the internet and use it as your own without permission. Deposit Photos provides royalty free photos, vectors, and videos to you on your site. WordPress is an open source application that allws you to easily host and maintain a website and blog. Plugins: We use several plugins and can recommend some for the functionality you are looking for. For security reasons we do not publicize what plugins we use on our public website. We do however do provide a list and help to WordPress users through our Digital Insiders master mind group. Goolgle Webmaster Tools and Google Analytics are two tools that are a must have for monitoring website health.